One of the most distinctive and misunderstood aspects of ancient Egyptian religion is the existence of animal-headed gods and goddesses. The ancient Greeks and Romans were often confused and offended that grand temples with armies of priests were dedicated to them. Nineteenth-century writers were equally critical. They could scarcely believe that a civilization that lasted so long, so advanced and capable of building huge structures, could have such ‘childish’ ideas about gods, or to have had such a confusing array of them. Many went so far as to insist that there was a secret monotheism known only to upper-level priests and initiates, and the many gods and goddesses were for the ignorant masses. However, the Egyptians were pretty clear about saying that the true forms of the gods could not be known by the living, and that was mentioned in the Coffin Texts.The animal forms are meant to tell us something about the gods. Bast isn’t literally a cat, Djehuty isn’t a baboon or ibis, and Khnum isn’t a ram. Osiris isn’t a green mummiform human either! The way they’re shown is meant to give us clues to who they are. The poses, gestures, depictions, and style of Egyptian art was established for magical (Heka) purposes, which is why the art remained relatively consistent for thousands of years. For us, that can present some problems. Many of the animals aren’t that familiar to us, and we have different cultural perceptions of others. Flocks of small birds represented destructive ‘chaos,’ turtles were also an embodiment of evil. Gazelles were shown as dangerous animals to be defeated by Horus on Cippus stelae. If you don’t take the time to look into how they viewed certain animals, it can completely misinform you about the nature of the Netjer. 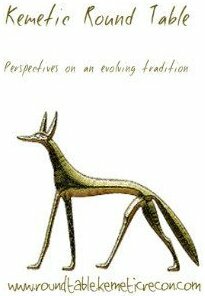 Anubis/Yinepu is an obvious example. In modern popular culture he’s shown as the threatening God of Death with the head of a terrible jackal. Strangely, many people today seem to mix up jackals and hyenas. Anubis was also identified as a dog occasionally as well. I’ve also seen discussions in which people couldn’t bear the thought that Wepwawet was a jackal, and decided that he always must have been a wolf. A wolf, of course, has a positive and noble reputation with pagans these days. It’s worth trying to do some digging to find out the Egyptian view of any of the related animals if you’re trying to connect to one of the gods or goddesses who have an animal aspect. Hathor isn’t the placid, stupid cow of modern commercials, Thoth/Djehuty isn’t a silly baboon or birdbrain ibis. Another related subject I wonder about is some of the modern depictions of the Egyptian gods. Especially the ones that are very ‘off model’- looking like comic-book characters, truck drivers, etc. Of course people can buy whatever statues and pictures they like, and use them in a way that’s meaningful to them. But I really wonder about the practice of forcing one of the Netjer, an eternal powerful god, into some pop-culture mold. Shouldn’t we be putting some effort into reaching out to them, discovering their nature instead? And for people who don’t care a whit about the information built up about Sekhmet, Bast, or Set over thousands of years, why invoke the name of a historical deity at all? 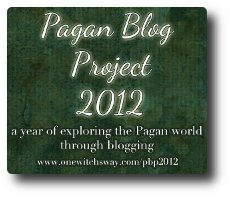 This year I’m participating in the Pagan Blog Project 2012. 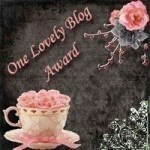 The object is to write a post every week for it, two for each letter of the alphabet. This entry was posted in Gods & Goddesses, Pagan Blog Project 2012, Theology and tagged Anubis, coffin texts, Egyptian Art, goddesses, gods, heka, Hethert, Netjer, Pagan Blog Project 2012, Sekhmet by helmsin2. Bookmark the permalink.